we pray you hear us when we call. your own in glorious liberty. of Mary, blameless mother mild. like those in heaven shall call you Lord. 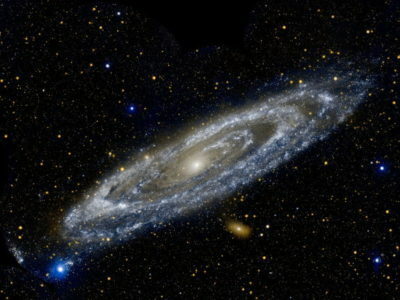 ~Image: Andromeda galaxy in ultraviolet light, Hubble telescope.